Advance rental £1,199 inc. VAT followed by 47 monthly rentals of £175 inc. VAT. Mileage of 6,000* per annum. 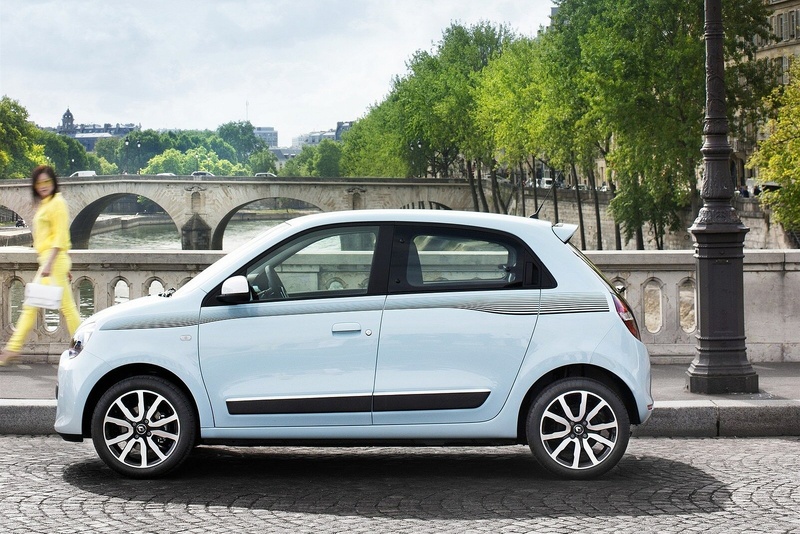 The Renault Twingo is a great little citycar most will want in SCe 70 1.0-litre entry-level guise. If you want performance, you'll want to spring for the pokier turbocharged 900cc motor but if economy is everything, this base unit might well suit. Engine issues aside, it certainly seems to be made of all the right stuff. You should have figured it out by now, but if you haven't it's worth remembering. A small car's engine capacity isn't the most accurate guide to its position in the hierarchy. 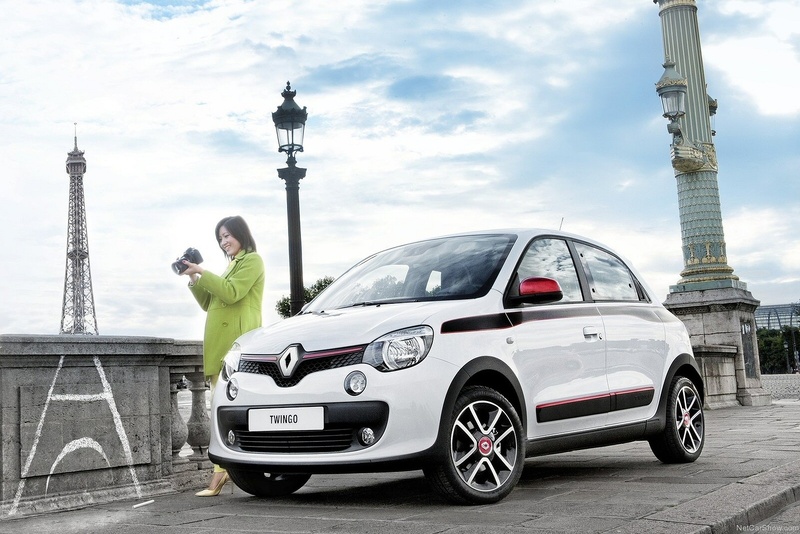 Take the Renault Twingo for example. You might well have heard of this latest version, with the engine in the back and the underpinnings shared with the latest Smart Forfour. If you haven't, it's a car with the engine in the back and its underpinnings shared with the latest Smart Forfour. 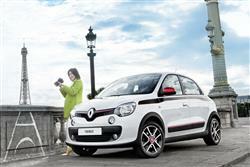 Renault launched this car with two engines, an 899cc unit and a 999cc motor. The key difference between the two - apart from the obvious 100 cubic centimetres of capacity - is that the former is turbocharged and generates 90PS and the latter does without forced induction for a mere 70PS. We'll take a look at the latter engine and see whether it makes a decent buy. Preservation of momentum is key when you only have 70PS under your right boot. The Twingo revs willingly and even sounds quite sporty when you plant it, but it's a car that's really at its best within city confines. Get one on an open road and you'll wish you'd sprung for the 90PS turbo model. On motorways, the gear ratios feel strangely judged and if you're trying to accelerate cleanly off the line to join fast moving traffic, bear in mind that the Twingo will take a full 14.5 seconds to get to 62mph. At idle, the off-beat thrum of the three-cylinder engine causes the car to vibrate quite markedly, so it's better if you choose one with the Start & Stop system fitted. Otherwise, there's a lot to like. The advantages of a rear-mounted engine in a city car are easy to appreciate. Even with a smallish engine up front, turning circles are often compromised by the amount of under-bonnet real estate the front wheels have to move in. With no engine to worry about, you can offer a genuinely tiny 8.65m turning circle. With the wheels at each corner of the car, you're not going to get the sort of weighty, tail-endy feeling you'd get in a 'traditional' rear-engined model where the engine's slung a long way out beyond the rear axle. For a city-orientated driver, that can only be good news. If you didn't know the engine was where you'd normally put your shopping, you'd probably never guess from the outside. 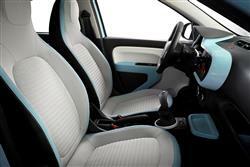 The Twingo has a fairly conventional city car silhouette, with elements of Fiat 500 in its cheeky domed profile. The front end adopts the usual Renault family face, with bulging headlamps and a detail strip that frames the huge centrally-mounted Renault diamond. Punched inboard of the headlight pods are LED daytime running lights. The design team, headed up by Laurens van den Acker, wanted to evoke the feel of the Renault 5 and the rake of the Twingo's rear screen and the prominent shoulders are said to be inspired by the rear-engined Renault 5 Turbo. That might be a bit of a stretch for most of us to spot. Meanwhile, thiscitycar's five-door architecture - a first in the history of the model - makes it the most versatile Twingo to date. This version is around 100mm shorter than its predecessor, but due to a longer wheelbase, the cabin length has increased by 130mm. Luggage capacity is 219-litres and can be extended to 980-litres by folding the 50:50 split rear seats. There is also 52-litres of personal storage space within the cabin, including a removable 2.6-litre compartment at the bottom of the centre console, 29-litres of space beneath the front seats - with nets available to hold items in place - and a 6.4-litre glovebox. Prices open at around £9,500 for the entry-level Expression SCe 70, with the Play model bumping that figure up by £500. The model to target is the Dynamique, which for around £11,000 adds the Start & Stop system, driving down the bills quite noticeably. Even the Expression model gets body-coloured bumpers, door handles and exterior door mirror shells, a rear spoiler and LED daytime running lights. Then there's electric power steering, electric front windows, remote central locking, a speed limiter, a height-adjustable steering wheel, a trip computer and gearchange indicator, a lane-change function for the indicators and the automatic activation of the rear screen wiper when reverse gear is selected. Safety kit includes Electronic Stability Control, Hill Start Assist, Emergency Brake Assist and four airbags as well as front and rear headrests and a Tyre Pressure Monitoring System. Step up to a 'Play' version and you can add air conditioning, a height-adjustable driver's seat and steering wheel, and 15-inch black two-tone wheel trims in place of the grey ones on the Expression. The Dynamique gets pinstripe shoulder-line decals, front fog lamps, electric heated door mirrors, cruise control, a lane departure warning system, a leather-trimmed steering wheel and gearshift knob, white instrument backlighting, a folding key and storage pockets in the rear doors. Economy is very much a tale of two parts. Go for an Expression or a Play model and you can expect to get 62.8mpg economy and emissions of 105g/km from your Twingo SCe 70. In this day and age, a citycar that can't dip under 100g/km really isn't cutting it. So what should you do? Buy the Dynamique model that's what. Yes, it adds another £1,000 to the price of the Play version that you're probably not going to make back via the marginally better fuel economy and lower emissions of 67.3mpg and 95g/km respectively, but it's also a nicer drive and gets usefully more equipment. But by now, I guess you know where we're going with this line of reasoning. If you're going to drop another grand for the Dynamique model, why not spend another £700 and get the markedly better 90PS turbo engine? We would. Residual values ought to be very good, as the Twingo has created quite a buzz and the personalisation options available allow second owners to customise the car to their requirements. The one thing the SCe engine does have firmly in its favour is its insurance rating; Groups 2-3 as opposed to Group 8 for the TCe 90. If you�re looking for a new Renault Twingo 1.0 SCE Iconic 5dr [Start Stop] Petrol Hatchback for sale, you�ve come to the right place. At Bristol Street Motors we don�t just have the best Renault Twingo 1.0 SCE Iconic 5dr [Start Stop] Petrol Hatchback deals, we also offer friendly advice and help with all your enquiries to ensure your buying experience is a happy experience.